At Rivergreen Medical Centre, our friendly and dedicated team of Doctors, Nurses, Managers and Administration staff all work together to provide the best possible care for all our patients. The practice offers a number of medical services ranging from on the day booking of GP appointments to chronic disease management clinics , which are run by our nursing team. 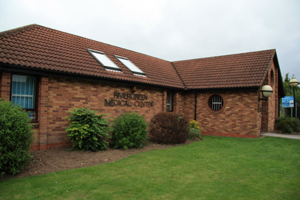 The Rivergreen Medical Centre website presents our patients with up to date news and information about the practice. We will keep it current with any developments or other details that we feel are important to our patients. WOULD YOU BE HAPPY TO RECOMMEND US TO YOUR FAMILY AND FRIENDS ? - PLEASE COMPLETE THE NHS FAMILY AND FRIENDS TEST. IT'S EASY, JUST CLICK ON THE FAMILY AND FRIENDS ICON ON THE RIGHT HAND SIDE OF THIS PAGE UNDER ' HAVE YOUR SAY '- THANKS. Our results to date show that 97% of patients are either extremely likely or likely to recommend us to Friends and Family. CARE QUALITY COMMISSION REPORT - Inspection on 28 September 2016. Manage your appointments quickly and easily wherever you are 24 hours a day,365 days a year. Routine appointments for GP's can now be viewed, booked and cancelled by using our new on line service.A free app is also available for iphones,ipads and other Apple devices to access SystmOnline. Please contact the surgery for further details. You can email us with your admin queries by clicking on the link below. This will direct you to the comments/ suggestions page. Please tick the relevant option and then type your query. Your will receive a reply within 2 working days. PLEASE NOTE - this facility is for admin queries only. Please take a couple of minutes to give us your feedback, tell us what you like or how we could improve.